People tend to think the path to top universities has to follow one set route. Prep schools, private tutors, and connections for impressive extracurriculars are all associated with acceptance to Ivy League schools and Stanford. But incredible success can come from from any background. We talked to Omar about his unique route to one of the world’s top universities. When did your family come over from Mexico? 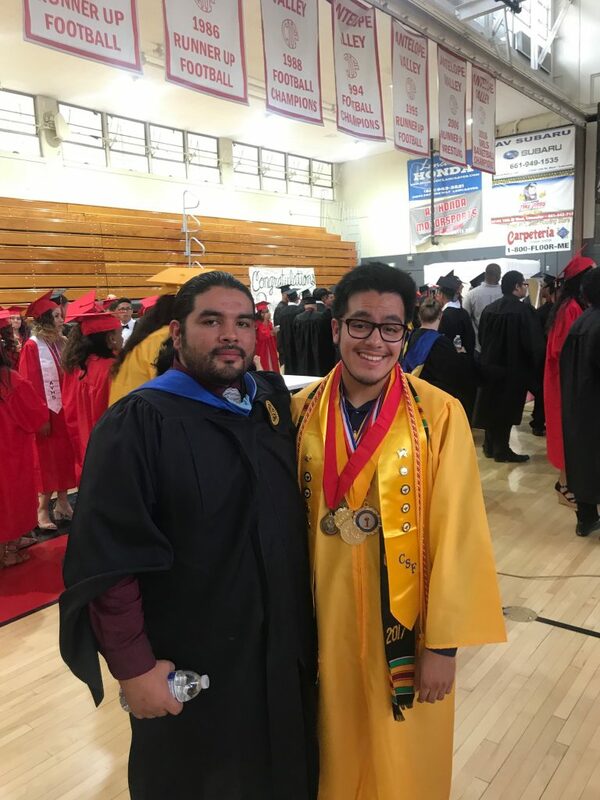 My dad came to the United States when he was around 18 years old; he told me he was always good at math but could never finish high school because his family was in poverty and couldn’t afford high school because in Mexico, you have to pay for high school. My mom immigrated to the US when she was around 21 and moved in with an aunt, and she used a fake name in order to lessen her chances of being deported. What motivated you to do so well in school? My parents have always told me about their struggles of coming and living here in the United States: not understanding English, waiting numerous years to become US citizens, fear of being deported, and being able to raise a family. However, they never really told me explicitly why they came here, yet I figured out why soon enough. It was so I can have a better education since they couldn’t achieve higher education due to their economic status. My father has to drive an hour to work, sometimes up to three, and then comes back home every day; he is a construction worker. 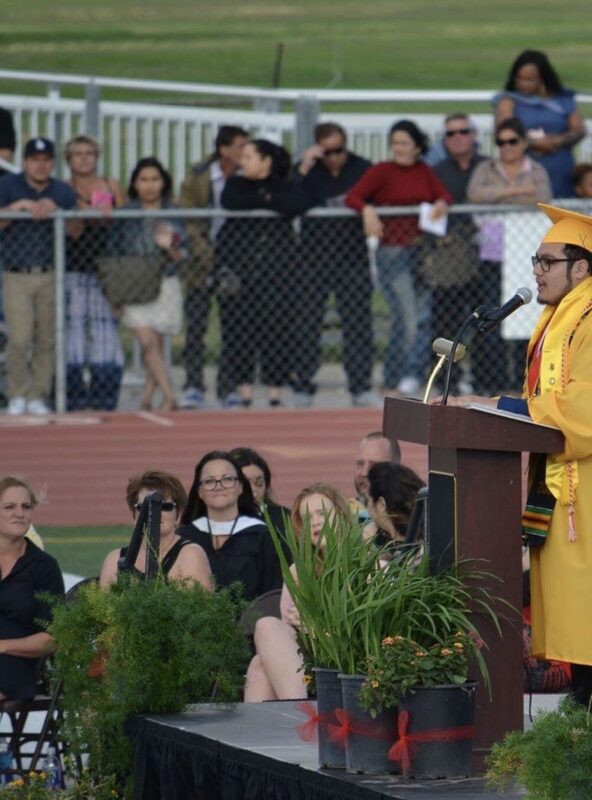 Also, my school community has always been labeled as the “ghetto school” or the school in which no one goes far because everyone gets “sucked into this valley.” I wanted to prove to them that the obstacles or the labels placed on them don’t define their future outcomes. Only people themselves determine their future and not others. Also, I have been discriminated because of both my sexual orientation and ethnicity. 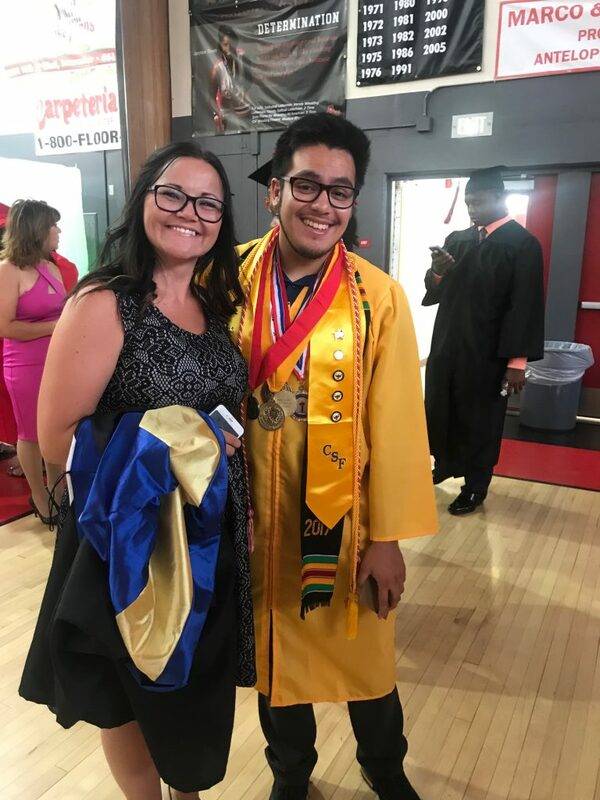 I was always called harsh names, or told that I wasn’t smart enough because I was gay or Mexican, so I wanted to disprove the stereotype and show that I am human, too. How did it feel to give your valedictorian speech? It felt surreal to be in front of all those people. I didn’t become proficient in English until late elementary school, so the idea of ever being a valedictorian or presenting a speech seemed unreachable to me. I didn’t even know I was ranked number one in my class until late junior year. I hope people think of me as a source of inspiration as they embark on the next chapter of their lives. What would your message be to other kids in your situation? People will tell you that you are not good enough. Yes, there are people who will belittle you in life, but instead of letting them dictate your life, prove them wrong and stay passionate in what you love doing. And yes, you are good enough. How excited are you for Stanford? I am very excited to attend my dream school, but I am also a bit nervous. Yes, I am nervous for the academic vigor that Stanford demands, but when has a hardship or obstacle ever stopped me? Never. 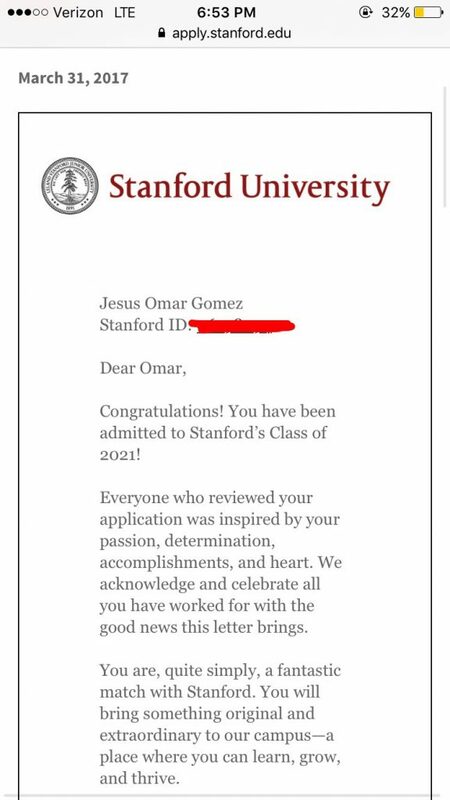 Although I feel nervous, I feel that my past experiences have taught me how to navigate through harsh times, and I believe that will help me at Stanford. Are there any other aspects of your story that you’d like to share? 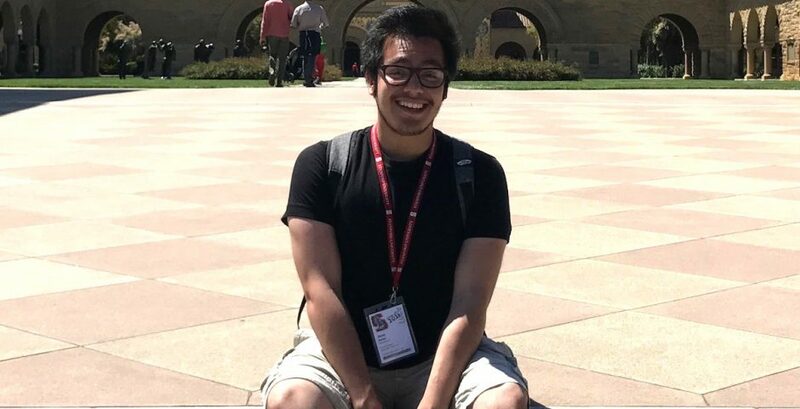 I plan on majoring in Human Biology at Stanford with a concentration in Medical Ethics, and double minor in Latinx Studies and Sexuality Studies. I want to become a cardiothoracic surgeon and study how I can help lower the number of deaths in cardiac diseases since they are the leading cause of death, but I also want to help my people in this nation. The healthcare system in this nation isn’t equitable, and when you’re queer, brown, or perhaps both, you’re treated differently than those that are privileged. I want to help put an end to the systematic-discrimination that exists in our hospitals, and assist my people with their needs for once. This goal of mine has always been deemed impossible by others, but that isn’t stopping me from achieving my dream of making this world a better place. I was also also accepted into the Leadership Enterprise for a Diverse America (LEDA) Scholars program. LEDA prepares low-income students for college success through an intensive summer institute on the Princeton campus for seven weeks. 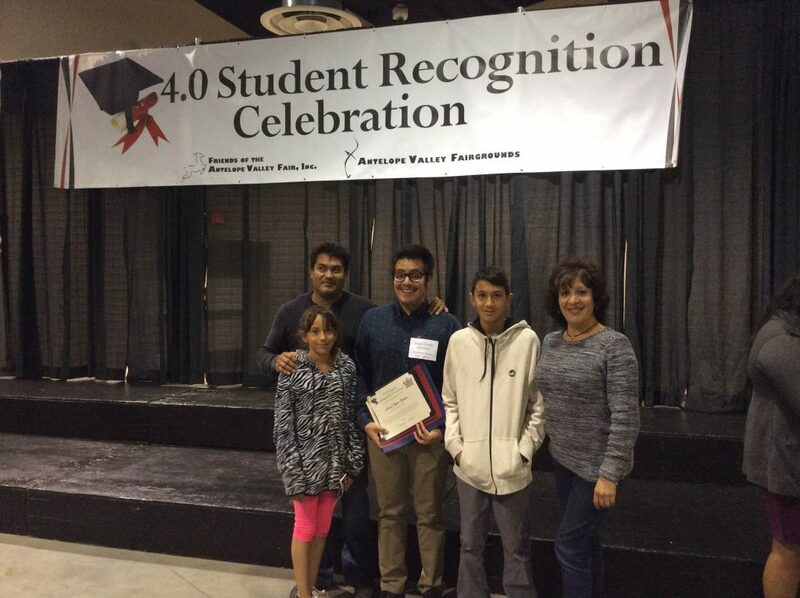 At LEDA, I received college guidance, university-level writing instruction, SAT Prep, and Leadership training. LEDA has also helped me discover my self-worth, establish a loving community of one hundred of America’s future leaders, and help me become more active in my community. LEDA will also follow me throughout college through the college success portion of the program.